Whitley Neill has expanded into the vodka category for the first time in a bid to expand the brand’s reach within premium on- and off-trade outlets. Whitley Neill Blood Orange Vodka combines “zesty Sicilian orange aromas” with “earthy spices” to create a “smooth” liquid that can be enjoyed neat or as a base for cocktails. Tina Connolly, brand manager for Whitley Neill, commented: “The Whitley Neill brand is all about the essence of discovery and using unique flavour combinations to deliver distinctive new tastes and experiences for consumers." 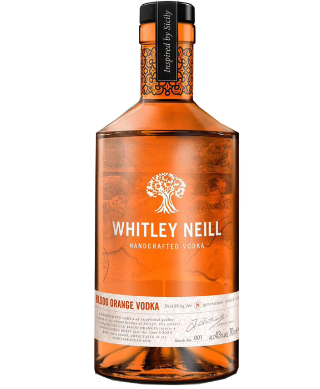 “We’ve created a particularly smooth liquid for Whitley Neill Blood Orange Vodka, which taps into both the growing premium vodka category and current consumer trends for orange flavoured spirits, allowing bartenders to craft a mixture of serves.